Eat an Organically Grown Apple a Day! 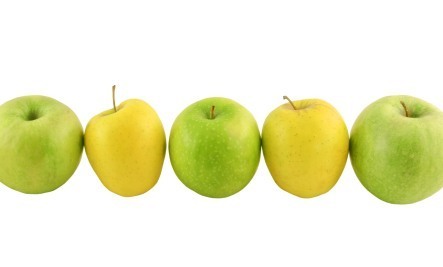 Find out why the common apple has uncommonly huge health benefits, and how to best enjoy them. The health benefits of apples are numerous, especially, organically grown apples. New studies are proving almost on a daily basis the truth of the old adage: an apple a day can keep the doctor away, and granny's advice to eat the apple with the peel. Apples are packed with vitamins, minerals, and phytonutrients (plant nutrients) that have several beneficial effects on our health. Apples are a rich source of two important phytonutrients or chemicals: flavonoids and phenols. These are present more in the peel than in the flesh. These phytochemicals act as antioxidants, destroying chemicals in the blood that damage certain cells. They also help lower bad cholesterol. Studies have shown that flavonoids in apples reduce the risk of cancers of the liver, colon, prostate, and lung. Studies have also shown that they may reduce chronic cough and other respiratory problems associated with asthma and smoking. Apples are extremely high in fiber, with the peel contributing 75% of the fiber. A medium-sized apple provides 5 grams of fiber, and research shows that risk of developing heart disease may be reduced by 14 percent by consuming 10 grams of fiber daily; and death from heart disease may be reduced by 25%. Apples contain quercetin, an antioxidant that has been shown to sharpen memory and learning and to prevent age-related diseases like Alzheimer's. Apples also contain the mineral, boron, which promotes bone health. Low-fat and fiber-rich apples aid in weight-loss and boost the immune system. Of course, these need to be coupled with physical exercise, whether yoga or something more fun like the masala bhangra workout. An apple a day (at a minimum) helps you meet the nutrient requirements for maintaining optimum health. To derive the maximum health benefits from apples, buy organic apples when in season from local farmers or organic produce stores. Avoid apples grown with pesticides and treated with fungicides and wax as they can cause more harm than good. 2. Apple pectin helps reduce cholesterol levels by lowering insulin secretion. 3. In two studies researchers found that eating five apples a week lowered the risk for respiratory diseases like asthma. 4. According to Chinese Medicine: Apples strengthen the heart, quench thirst, lubricate the lungs, decrease mucous and increase body fluids. 6. Studies indicate that eating apples daily can reduce skin diseases. 7. According to a Brazilian study, eating an apple before a meal helped women lose 33 percent more weight than those who didn’t. 8. An apple has only 50-80 calories and has no fat or sodium. 9. Apples are packed with vitamins C, A , and flavonoids and with smaller amounts of phosphorus, iron, and calcium. 10. Apples provide a source of potassium which may promote heart health. So there you have it…lots of good reasons why it is good for you to eat an apple a day!